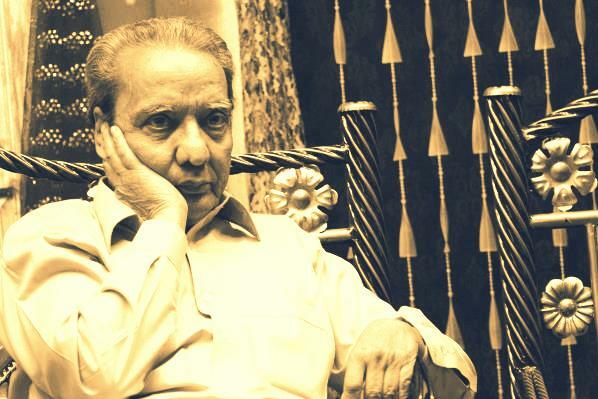 Mohiuddin Nawab, who rules over Urdu story world, is a true legend. He is the man who has authored Devta, the most voluminous and longest running novel ever written in any language, and that runs into more than 50 volumes. He is also the man whose stories are published in almost every monthly [digests] in Urdu and are awaited by millions of readers, in India & Pakistan. Also, publishers in India, print and sell his novels, of course, without copyright [and no royalty]. His novels and stories are awaited by a large number of readers. On blogs the entire novels are copied and uploaded by fans. The octogenarian writer who is known for his unique writing style, finds tales from the people around us and then writes extraordinary stories about ordinary men. He is a cult following. While his stories exhilarate you, at the same time they also have a social message and expose the hollowness of our society. 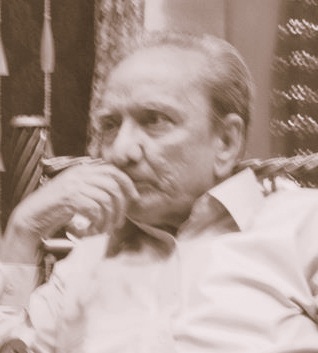 Nawab sahab lives in Karachi in Pakistan. There is little doubt that he is an inimitable writer and generations have loved him. Still, there is a very sad aspect. Perhaps, it can happen only in the East, that such a major writer hasn’t got the due regard from so-called ‘literary world’. Is it because his writings—though no less incisive than the leading litterateurs, mostly got published in popular magazines [digests] that have huge circulation, and not to literary magazines. Isn’t it an irony? It is an honour to be able to have a brief chat with the famous author who has been writing for the last 55 years. *Nawab Sahab, first tell us about your childhood and how you were drawn towards writing stories? Mohiuddin Nawab: I was born in Kharagpur in West Bengal. The year was 1930. I was interested in listening to stories when I was a kid. I also enjoyed narrating tales. Rest, it is life that has taught me. I consider me a student till date. I guess it was my destiny to become a writer. *How many stories you have written so far? Mohinuddin Nawab: Frankly, I never kept an account of the number of stories wrote. But I believe that I had more stories to tell than most authors. Devta is undoubtedly the longest story written in any language in the world. *We wonder, how you can write so much. Once it was commonly known that you dictated and recorded your stories. Mohinuddin Nawab: It depends on the mood. Sometimes I write and t here are times when I use the tape-recorder. These days, I am also using computer. *Your stories show your deep insight about the society. There is also a message in them. How do you get so many experiences about people and their lives, which help you form such strong characters? Mohiuddin Nawab: From books, I gather information about the world around. I study people and try to understand their psychology, their actions. The effort to get into the person’s mind, helps me create the stories. *How did you plan writing ‘Devta’? Mohiuddin Nawab: Every person’s brain works differently. I thought that it would make the diverse kind of human minds play through my pen. Emotions like love, hate, treachery and all other passions come out of human mind. I successfully wrote this long story for a period of 33 years. *Who inspired you as a writer? Mohiuddin Nawab: I learnt from my predecessors. Learning is a constant process. Sometimes, a child says something that astonishes you and makes you ponder over it. *Do you write poetry also? Mohiuddin Nawab: Sometimes I do write couplets. *Any message for young generation? Mohiuddin Nawab: I wish that youth would devote more time towards reading. Excessive use of mobile phone hampers their creativity. I hope that the youngsters would read books as they are a true friend and have a treasure of knowledge. Gadge Baba [1876-1956] was one of the greatest social reformers, who dedicated his life for public service and set up 31 schools, orphanages, educational institutes and shelter homes for destitute. While the reformist leader who was bestowed the title of Saint in his lifetime, is a household name in Maharashtra, ironically, his life and works don't find much space in the text books outside the State. Gadge Baba*, who was born in second part of the nineteenth century, built schools, hospitals, hostels, orphanages, homes for women and elderly, dharam-shalas and animal shelters across Maharashtra, all by collecting donations, but never constructed a room for himself. The mendicant went village to village, with the food pan on his head and broom in his hand. Upon reaching the place, he would start cleaning the roads and drains. This inspired the people to become self-reliant. The money handed over to him by villagers, was used for setting up institutions. He also performed the 'kirtan' and recited Sant Kabir's couplets [dohas] during his discourses.Either he stayed in verandahs or under the shade of tree. An old and crumpled sheet, an earthen pot [which he wore on his head and used it as bowl to eat] and a piece of wood--that was all he had in the name of possessions. 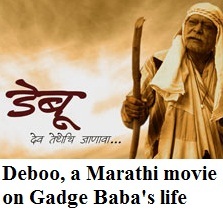 The wandering Saint came to be known as Gadge Baba, because he carried the earthen pot [in Marathi, term for pot is Gadge]. He attacked untouchability through his teachings. An associate of Dr BR Ambedkar, he played an important role in social awakening in Maharashtra, especially, among backwards, Dalits and the poor. A rationalist, he dedicated himself to the larger public good, urging the poor and persecuted to educate their children. For Gadge Maharaj, religion was all about serving the humanity and uplift of the oppressed, especially, the handicapped, the destitute. Rural masses thronged to hear him. The public preacher also spread awareness regarding sanitation and for keeping environment clean. He emphasised on feeding the hungry and serving the society. A saint in Bhakti tradition, he was respected by all sections of the society. For almost 50 years, he kept moving in the vast region, spreading awareness in the society and condemning the social ills. He established 12 dharam-shalas at different places, some as big as the one in Nasik which can accommodate 500 persons. So that the poor don't have to worry about their stay while visiting other places and pilgrimage spots. Gadge Baba had a humble background. 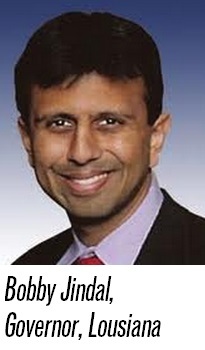 His real name was Debuji. He was born in Amravati. After his father's death, he had spent the early years of his life at his maternal grandfather's place. Though he had no formal education, he had the missionary zeal and conviction to bring about change in the society. Throughout his life, he remained active, spreading awareness to tackle the existing social evils, the prejudices, the regressive beliefs and the superstitious traditions. He was against the casteist discrimination and also opposed touching feet of the saints. Further, he was a strong crusader against illiteracy. When Bal Gangadhar Tilak opposed the representation of entry of lower castes into legislatures, Gadge Baba, had opposed it and challenged Tilak from the same dais. He left behind a rich legacy that will inspire generations. He is fondly and respectfully termed as Rashtra-sant. Almost a contemporary of Gandhi, he passed away in 1956. His contribution towards the Indian society and educating the masses, is truly astonishing. 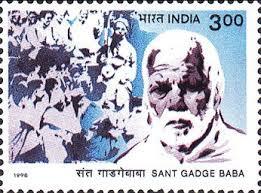 The Amravati University was named as Sant Gadge Baba Amravati University in his memory. The momentum is building to protest Union Public Service Commission (UPSC) decision to remove the classical languages--Arabic, Persian and Pali, from the civil services. There are tweets about the importance of these languages apart. The Twitterati forwarded and Re-tweeted (RTd) these messages, causing a stir on the internet. The hashtags #shameUPSC & #restoreArabicPersianPaliinUPSC were initiated to protest the mindless move on social networking website, Twitter. Historical documents including papers during the 1857 revolution against British are mostly in Persian. 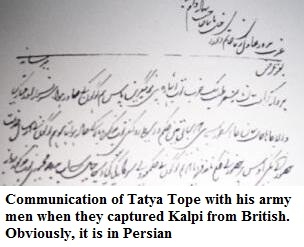 Legendary freedom fighters like Tatya Tope's communication is also in the language. Persian was also official language of princely states ruled by Hindu Rajas and Muslim kings [Nawabs]. Also, there is huge amount of literature in Persian in India. Legendary Indian poets like Bedil and Ghalib wrote in Persian. India has kept Persian in its original form. Pali is one of the oldest languages in India. There are old texts and Buddhist literature in Pali. Arabic is taught across India. There are madarsas and Darul-Ulooms apart from departments of these languages in dozens of universities in India. There are Arabic-Persian Universities in India like Khwaja Moinuddin Chishti University in Lucknow which has come up recently and the Mazharul Haq Arabic Persian University in Bihar. There are scores of other institutions too. The 'esteemed members' of UPSC board perhaps have no idea about the huge number of texts, manuscripts and literature in India in these languages. Perhaps, a situation will come when we will be dependent on foreigners to translate our own works, and we won't be able to decipher them on our own. Do you know all words that end with 'daar' are of Persian origin? The example is dunkan-dar, kiraye-dar. Thousands of words like 'gul' [flower], aqalmand [intellect], dilkash [beautiful], khat [letter], aab [water], dil [heart], kitab [book], naan [bread], have come to us from Persian. The movement aims at telling people the importance of these languages. Isn't Latin taught in Europe even today? Should we sever links to our past heritage? Earlier too UPSC tried to remove the languages in the early nineties. Now there is a fresh attempt. Sadly, this is happening during the Congress-led United Progressive Alliance (UPA) regime. The fact is that many people aren't aware of the heritage of nearly 1,000 years [many a millennia in the case of Pali]. We urge the President, the Prime Minister, the HRD ministry and Congress leaders to restore the languages. The JNUSU led by Akbar Chawdhary also led a demonstration on the issue. The protesting students said that by this absurd yardstick, English, is also a foreign language. Further, there are now growing voices against the controversial move that is hurting a large number of students. If you want to be part of this movement. Do use the hashtags and tag politicians, important personalities, to inform them about your views. Force them to withdraw the whimsical decision, which shows badly on the members of UPSC who are supposed to know importance of our cultural heritage of thousands of years. There have been protests on the ground. Now do act on internet as well. The moment an Indian reaches a top position in a foreign country, there is euphoria in the media, as well as in the society. But isn't it in sharp contrast with our attitude towards foreigners. 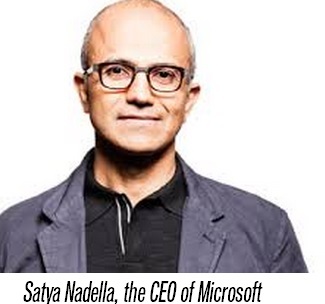 We love to see Satya Nadella or Indira Nooyi heading big corporate groups in the West. 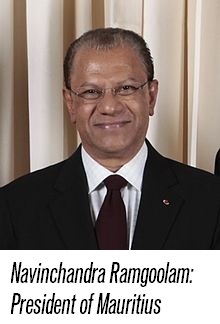 We are ecstatic when a first generation Indian becomes a governor in a state in America or a second or third generation migrant from UP or Bihar becomes president in Fiji or Mauritius. In some cases, those rising to high positions, don't even want to acknowledge their Indian connection, but we still love these success stories. 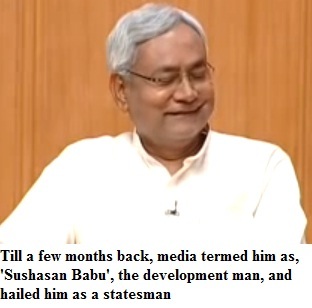 We are proud and our media does its best to present it in such a manner that Indians are conquering the world. Now what is our attitude towards foreigners excelling in India? Forget the opposition to Sonia Gandhi who hadn't come to India to become a politician and who lived decades here, also losing her husband, before entering into politics. She had seen the opposition and decided not to take up the post. But this opposition to 'outsider' permeates every section of our society. In fact, we don't even tolerate people from other states excelling in our region. If a leader provokes us, we can go out beating fellow Indians from other regions, on the streets. 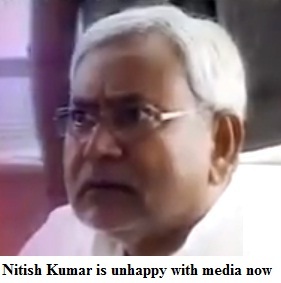 The anger about Biharis growing in numbers is not limited to Maharashtra alone. There are conversations on the streets and in offices about how 'outsiders' are taking our jobs. This is visible in Assam as also in Delhi. Even within states, people don't like if people from a particular region or district are more in proportion in an organisation or office. In a private company, the moment there was talk about a foreigner, being hired for a senior position, there was unrest. 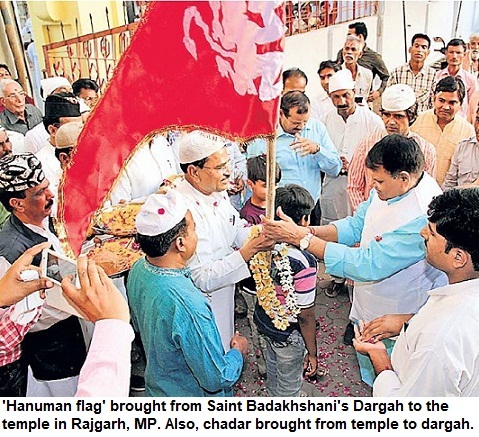 'Hindustani mar gaye hain kya', was the line heard repeatedly. The double standards are visible at all levels. Its not about the white skinned foreigners alone who come here from Britain, Germany, Japan, China or Vietnam. Further, do you think that our immediate neighbours--a Bangladeshi, Sri Lankan or Nepali have it easy in India? [Let's not talk about Pakistan]. The idea is perhaps that foreigner are good as long as they come for a tip, visit a few places, and go away. We watch movies but our 'khaps' and even 'educated classes' disapprove marriages outside castes [and religions]. Though we are a nation of dark complexioned people but Africans face the worst racial prejudice in India. The treatment with domestic helps is another form of apartheid, which has social sanction. In Delhi, the person from North East gets discriminated. In Bangalore, the North Indian is seen as someone who is snatching the jobs and who is behind the inflation because of them earning in software, BPOs and other new sectors. 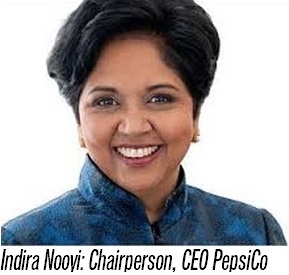 There are prejudices and discrimination with every outsider.We are so proud of our talent when we leave the shores of India and become CEOs in multinational companies or top executives in Silicon Valley. How come Americans digest the fact that foreigners [Indians and people from other countries] are grabbing top positions and doing well in their country, taking away local jobs? Are they more large-hearted than us? Are we more parochial than them? Truly, there is need for a serious INTROSPECTION. But is our society in a mood to discuss it? The role of media is critical as it shapes popular opinion. Unfortunately, the TV channels and newspapers amplify the biases in the society, rather than enlightening the viewer (and reader). In any city in India, when there is a spate of crime, the first trend is to do reports on how 'outsiders' are involved in crimes. It then goes to how youngsters from other states who stay in rented accommodations are committing crimes and how outsiders settled in slums are affecting the crime scene. The cops too parrot the same line. This happens even though the person writing the nonsense may have come to the city barely two to five years back. The belief is that the culture was great till a few years ago and our place was a paradise. Take the example of the city I live in. Those who came here 10-20 years back, feel that they are local. They blame the current stream of outsiders from certain states. In fact, the majority is now those who are settled here for 30-50 years. Who is the original inhabitant or the native? In the region I live, a section of self-styled locals are those who are living here for 100-250 years. But before them, there were tribals in this area, and they now have no say and aren't considered as locals at all. But the 'anger against outsider' suits everybody. Media, especially, the vernacular newspapers and local channels, love blaming the 'immigrants'. Reports on how 'our culture' is being spoiled are common to see. Media fuels the xenophobia. This helps them answer the reason for soaring crime. Rather than simply accepting that there is tremendous violence in the society and that growth in population will naturally lead to more crime, we tend to put the blame on others. We don't want to accept that problems lie with us. The truth is that we need to be more open, large-hearted and must learn to accept diversity. Media should have helped create such a society. But the kind of public discourse that is needed, doesn't take place. Isn't it sad? 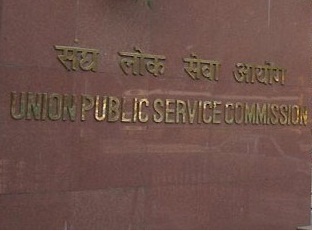 The decision of Union Public Service Commission (UPSC) to remove Arabic, Persian and Pali from the list of optional subjects in the civil services examination, has invited strong condemnation from across the country. There is a vast literary treasure in India in these three languages that have the status of classical languages in the country. There are million of books in libraries in these languages apart from revenue records in many states that are in Persian. Old historical structures and coins carry plaques in these languages. 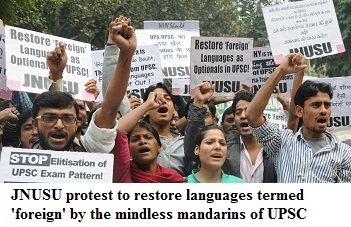 In taking the decision to remove these languages, the UPSC has misused its autonomy. Unfortunately, it is the Congress-led United Progressive Alliance (UPA) which is at the helm, when the decision has again been taken. The UPSC members have done great disservice to the nation with this act. They have shown their lack of awareness about Indian culture and history, when they decided to remove these languages from the list of optional subjects. They also removed French, German and Russian. In fact, keeping Arabic, Persian and Pali in the same bracket, shows how the mandarins of the top body, seem tohave no idea about the extent of literature these classical languages has and how much important it is for India. Already, we don't have enough students taking languages in universities. With diminishing options, the Arabic, Persian and Pali departments in universities in the country, will be severely affected. It will be a big loss for our heritage. There will perhaps be a situation when there will be more experts of these languages outside the country, than here. DP Agarwal is the chairman of the UPSC. The commission has ten members viz. 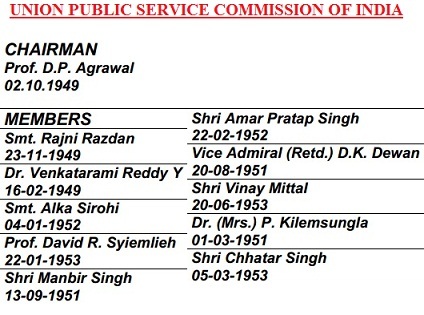 Rajni Razdan, Venkatarami Reddy Y, Alka Sirohi, David R Syimlieh, Manbir Singh, Amar Pratap Singh, DK Dewan, Vinay Mittal, P Kilemsungla, Chhatar Singh. It beats the brains how these 'intellectuals' took this insane decision. 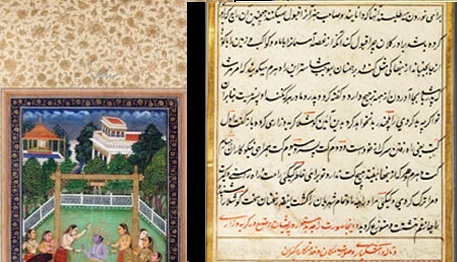 As far as Persian is concerned, India has preserved the original classical form of the language. Not just Mughals, hundreds of princely states used it as an official language in 19th century and even later. The texts, manuscripts are lying in libraries and archives departments and they will not be researchers, students, to decipher them. What a shame! The UPSC is also playing with the future of students. Sadly, the UPA claims that it wants to increase job opportunities for Muslims, but under its tenure, the languages are being removed. Two of these languages give students of 'madarsas' the option to dream big. In fact, several Muslims have taken Arabic and Persian as optional subjects and have cleared the examination to become IAS, IPS and IFS officers. Recently, teachers and students protested outside UPSC and the chairman had refused to meet their delegation. United Muslims Front (UMF) held a major protest that was led by the front chief Shahid Ali. 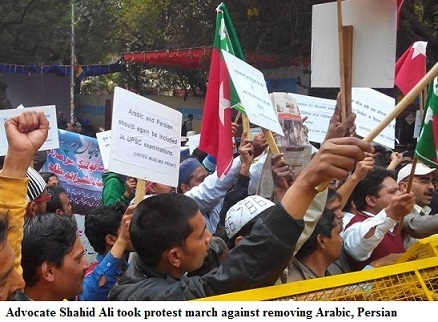 The All India Association of Arabic Teachers & Scholars (AIAATS) in collaboration with the All India Persian Scholars’ Association (AIPSA) organized a symposium in Delhi on the issue, but now seminars are not required. The need is for action. There have been protests in Lucknow and Allahabad. The issue is that UPSC's action is illogical and shows that its top officers have little idea about Indian history and have no focus on keeping the standards of learning in the universities. It is time to condemn their decision, which is either due to prejudiced mindset or total lack of knowledge. The need of the hour is to petition the President of India, whom UPSC annually submits its report. Also, write letters to Prime Minister, urge the MPs to take up the issue in the Parliament. If there is more delay, the decision may not be overturned.